The cooler seasons can be so breathtaking, with colorful leaves scattering in the fall and sparkling flakes of white showering city streets in the winter. However, harsh weather takes a toll on our homes, especially our gutters. 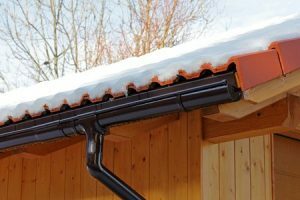 As temperatures drop, it is important to prepare your gutters for winter months. You must be aware of what steps you can take to ensure your gutters keep up with severe weather. In order to prepare your home for winter, you must prepare your gutters to handle rain, snow, and sleet as it comes. As the leaves begin to fall, try to periodically clean them out of th e gutters. For the east coast, early fall is considered hurricane season. You’ll want to make sure you gutters are clear for significant rainfalls. When all the leaves have fallen, clean the leaves out of your gutters. This will make sure that water will have a clear passage way out of the gutter and away from your home. Cleaning the gutters out before freezing temperatures settle in will help you to prepare for next spring. It will also make the job easier when the warm temperatures return. Gutters coated in water and ice may freeze over the winter months. It is vital to keep gutters clear of debris before it happens. Otherwise, you’ll be putting your gutter at risk for ice dams. Make sure gutters are securely attached to the house as well as the downspouts. If gutters are loose, you could risk the gutter blowing off the roof in severe storms Point all gutter extenders in the opposite direction of your home’s foundation. This will prevent water from seeping into basements, first floors, and crawlspaces. Cleaning your gutters on a regular basis will save you both time and money. By preforming preventive maintenance, you can rest assured that your gutters are always in good shape. If you need help preparing your gutters for winter months, contact Bell Seamless Gutters today. All the homeowners out there know it is important to clean your gutters. What you may not know is how often you should do this. It is suggested you clean 3-4 times a year. Most people only clean once a year, if they remember. Not all homeowners know what they are risking by not properly maintaining gutter flow. Sidewalk Hazards- This may not just be a risk to the sidewalk but to a lawsuit. If water builds up on your sidewalks and freezes it is great breeding ground for a lawsuit! Leaking Basement- With inadequately functioning gutters water builds up around the foundation that can cause leaks into your basement. Meaning money flying out of your pocket! Foundation Cracking- If you have a leaky basement you have cracks in your foundation. 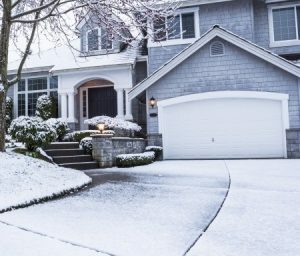 This can become extremely dangerous in the winter due to frost heave. Water gets into the cracks that have already formed and then it freezes when cold enough. We all know from that elementary school experiment when water freezes it takes up more space. More space that it will create and cause even more damage to your foundation. You know the saying you need to start with a good foundation, if not the whole thing will crumble. Rotting Wood- IF you are not cleaning out the gutters then water is simply spilling over the top and rolling down the side. Under you gutters and roof is wood, when wood gets wet it rots. Leaky roofs- If that wood we already spoke about rots and deteriorates then you will have a leaky roof. You do not want to put placing pots all over you house to catch those leaks. Washed out landscape- If you have any newer/young landscaping that has recently been done you can count on paying to do it all over again. If there is not proper drainage the rain will come and puddle where you don’t want and you can say goodbye to the over-watered plants you paid plenty for already. Damaged driveways- Much like damaged sidewalks, your driveway can suffer the same fate. Your driveway has already taken a beating from you driving on it why put any more stress on it and cause more headaches for yourself. Moral of the story? Clean the gutters, OFTEN! 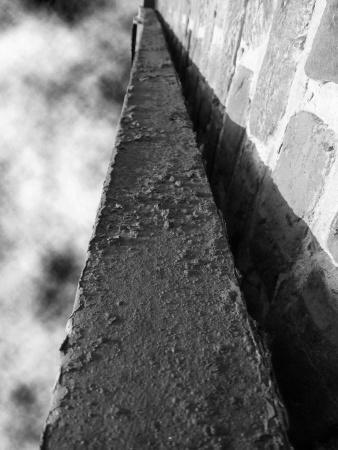 If your home is your castle, you must know that the gutters are an integral part of your castle’s structure. Gutters drain rainwater away from your home and into the ground, keeping safe windows, siding, and basement. 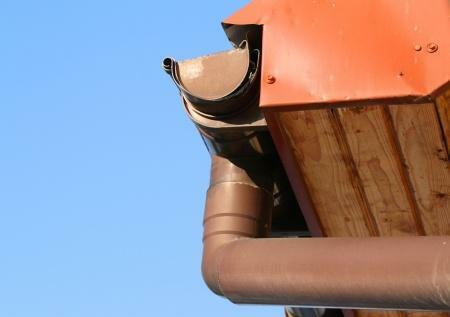 But gutters need maintenance and your attention if they are to function efficiently, and it is important they be kept clean and free of debris. Mildew is the main culprit here and if you do not keep your gutters free of mildew it could spread to your house causing serious health problems. Here are some simple steps you can take to maximize your gutters’ performance and keep them mildew-free. Remove any dirt or debris from the inside of the gutter and, with a power washer if you can get one, clean off surface mildew and grime. You will need a soft-bristled brush and either a bleach spray or a homemade solution of four parts water to one part bleach to scrub your gutters. Bleach water is essential to removing mildew. Disconnect downspouts and clean them thoroughly with a long-handled gutter brush. Rinse your gutters with clean water. You can do it more easily with a hose. Keep your eye on your gutters to make sure the mildew has not returned and call in a professional if the problem continues. Gutters are usually made out of either vinyl or a combination of aluminum and steel. These should clean easily if you pay attention to them. It doesn’t take much to devote some time to making sure your gutters stay clean and working optimally. If you love your home and take pride in it, spending time on your gutters should be part of your maintenance routine.